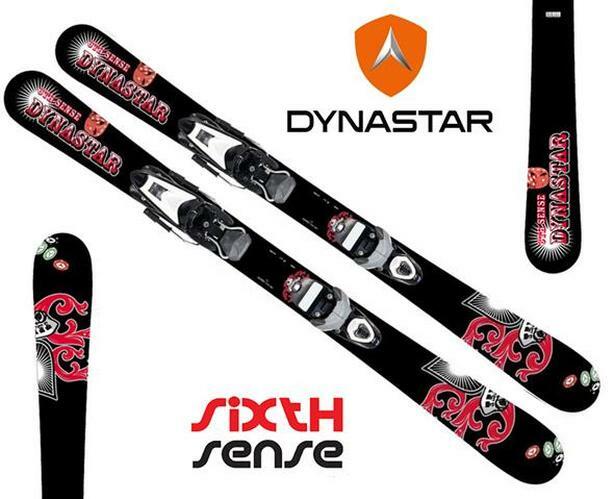 6th Sense Team Skis: When you're looking for award-winning, all-mountain freestyle performance for park laps and powder days, you're going to turn to the Dynastar 6th Sense Team Skis. With spring-loaded boost, powerful edge grip, and enhanced durability, you're guaranteed to get competition-level park performance whether carving up icy pipe walls or attacking slopestyle courses. Rely on other-worldly tingles and let the 6th Sense Team Ski lead the way. Spring Blade wood core construction is machined to varied thicknesses while varied lengths of fiberglass layers are stacked creating more energy and durability. Spring blade also provides springboard effect for incredible "load-up and pop" capability and landing shock absorption. Torsion Box is a multiaxial fiber wrapped and layered around the core for torsional stiffness, stability and increased energy.